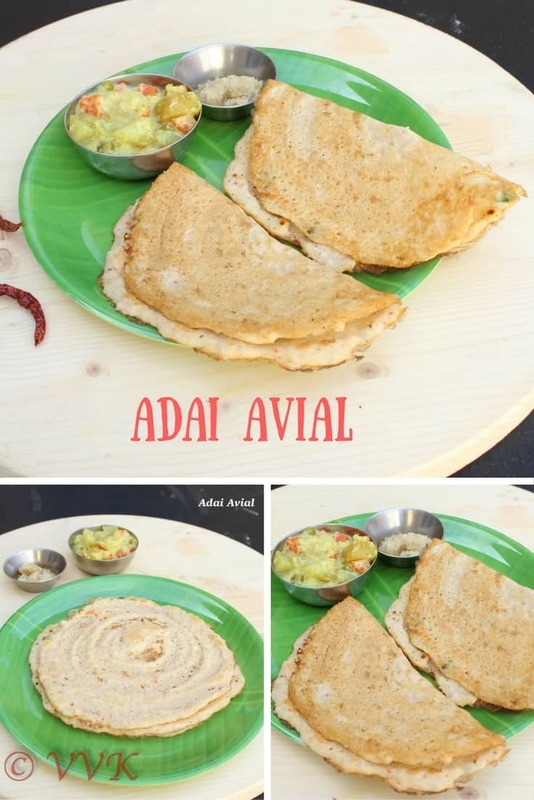 Adai – Aviyal one of the best combo available in tiffin items. 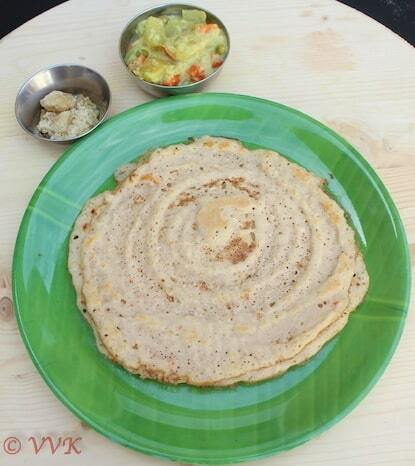 Adai is the lentil dosa prepared with rice, toor dal, channa dal along with urad dal and spiced up with chillies. I like to eat adai with honey and my husband with jaggery and ghee. 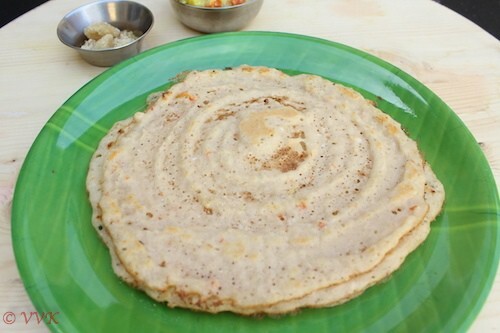 No matter what your side dish is, adai is yummy and healthy by itself. 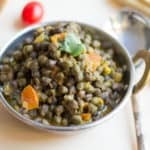 It belongs to dosa family and it includes toor dal and channa dal making it comparatively healthier than dosa. Idli Rice – 1 cup (I have used basmati rice and also regular raw rice) :-) It comes out really well. Soak the rice, dhals along with the chillies for 4 to 5 hrs. Grind them coarsely. It should not be as smooth as dosa batter. 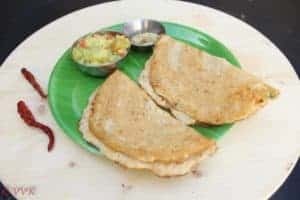 Adai batter doesn’t need to be fermented, you can make adai right away. Add salt, coconut and curry leaves to batter. I also make cheese Adai for the kiddo. I just sprinkle cheese on top of the adai and that’s it. 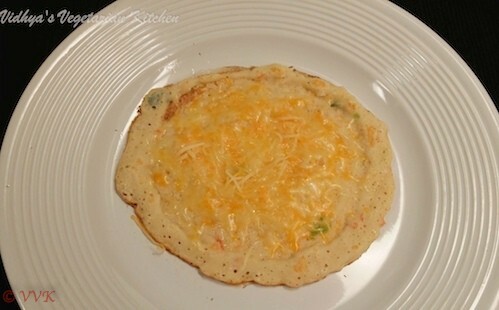 Yummy kids friendly cheesy adai is also ready. Adjust the spices and salt as your taste. 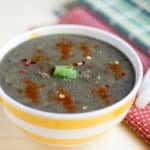 Instead of coconut, onions can be used too. Lentil Dosa prepared with rice, channa dal, toor dal along with urad dal and spiced up with chillies. A healthier dosa variety. Idli Rice - 1 cup I have used basmati rice and also regular raw rice :-) It comes out really well. 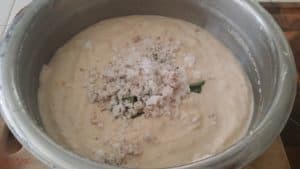 Adai batter doesn't need to be fermented, you can make adai right away. 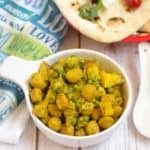 Serve hot with avial or honey or jaggery or with chutney..